According to studies, first-time buyers made up almost 35% of all home buyers in 2018. But, while this may be the case, the majority of these people had to work hard to save money for a downpayment. The truth is unless you inherit money or you earn a high salary, buying a home isn’t available to everyone. That said, there are some ways you can cut back and increase your savings to one day own your own roof. Here are some tips on how to save money for a house. While the cost of the house itself is important, you also have to consider other expenditures that come with buying and owning a home. In addition to your downpayment, banks expect you to pay a variety of fees when buying a house. One of the most important ones is Private Mortgage Insurance (PMI). PMI is an extra fee you’ll have to pay on your mortgage if you can only afford a downpayment of less than 20%. Furthermore, before you can borrow money to buy a house, you need to pay for an appraisal and inspection. These can cost more than $300 each. Last but not least, you have to pay closing fees to seal the deal. These range from 2% to 5% of the cost of the mortgage value. In some instances, you may be lucky enough to have the seller pay these. Don’t forget that once you buy your house, you also have to pay to maintain it. You may also find that it needs some renovating. Also, don’t forget to get home insurance to make sure you’re covered if something happens. Now that you know the extra costs of buying a home, it’s important that you work with the right mortgage brokers so that your lender approves your loan application. But, before you can apply for the loan in the first place, you need to save some money for a downpayment. Here are some saving tips. You know about some of the hidden fees involved with buying a house. With this in mind, be realistic when looking at house prices. 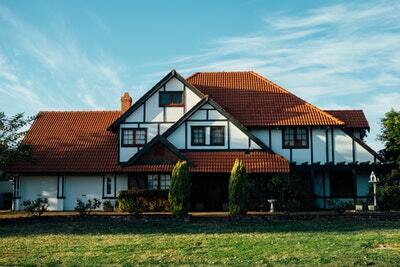 The size of the house you go for and its location will have a huge impact on its cost. Ideally, you need to work out how much your house will cost you so that you can figure out what the 20% downpayment would be. By doing so, you’ll avoid PMI which can save you a lot of money in the long run. Another way of doing it is to work out your budget and see how much you believe you can realistically save over the next couple of years. Once you have a figure in mind, you can start talking to real estate agents about the type of house you can afford. Once you know how much you need to save, open a dedicated savings account. The key is to keep this account separate so that you don’t accidentally dip into your downpayment fund. This will also make it a lot easier for you to keep an eye on the amount you’re saving each month. Whatever you do, always go for an online account so that you can easily transfer money to your savings each month. The best strategy for saving money regularly is to automate your savings. You can do this by setting up a direct debit each month. This will prevent you from forgetting to put aside money. You could also put some smaller items on eBay or have a car boot sale. Alternatively, you could rent your spare room on Airbnb. There are now various banks that offer rewards when you spend money on your credit card. Basically, every time you spend money on your card, you’ll get 1% to 5% cash back depending on the bank. While this is a great way to make some money, you should avoid this option if you struggle with debt. If you don’t believe you can pay off your credit card bill each month, don’t use one. If your bank isn’t offering you good interest rates on your savings account, consider opening a Money Market account. Unlike Certificates of Deposit (CD), you don’t have to put your money in the account for a specific amount of time. Instead, you can deposit your money in exchange for a predetermined payout or interest rate. The main difference between a Money Market account and a CD is that you may not earn as much interest with Money Market. Today, banks want you to sign up with them. As a result, they offer hefty bonuses in the form of cash. In fact, certain banks will give you anywhere between $100 and $300 just for opening the account in the first place. To benefit from these bonuses you will have to keep your money in the account for a certain amount of time. Other banks ask you to set up a certain number of direct deposits from your new account. As you can see, there are various ways you can save money for the downpayment on your dream home. The key to saving money is to check how much you need in the first place. You must also keep all the extra fees in mind when putting together an estimate. In the meantime, if you’d like more tips on how to save money for a house or any other dream project, contact Critical Financial today. We have a wealth of knowledge on how to save money as well as various other finance related topics.